There are many media players available on the Mac, all of them are featured with various functions. Mac users need a stable and powerful apple media player, which allows them to manage and playback all types of the media files like video, audio, DVD, CD and even the Blu-ray disc. As we all know that Apple didn’t make its computers support the Blu-ray natively, that means you need an extra external Blu-Ray Disc™ drive to read Blu-Ray Disc™ as well as the Mac Blu-ray player software for playback a Blu-Ray Disc™. So an all-functional Mac media player is very necessary for all the Mac users. With the development of HD technology, Blu-ray disc has been the new standard of media storage medium. And a lot of people have their own Blu-ray movie disc collections. To play Blu-ray on Mac is an unthinkable thing for a very long time until the appearance of Macgo Mac Blu-ray Player – the first Mac OS media player supports playback Blu-ray, DVD, video, audio, etc. 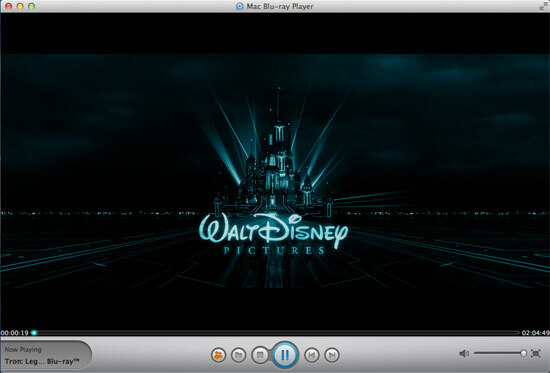 As the first Mac media player allowed for Blu-ray playback, the tool has been continually improving and updating with the multi-language supporting, AirX option which allows to stream media to Apple device, region code choosing for DVDs, etc. to satisfy all the Mac users. And the latest version is v2.4. This Mac media player tool is really a simple but useful tool. We are not sure when will Apple make Blu-ray available on its own platform, so this Blu-ray media player for Mac is still the best choice for Blu-Ray Disc™ playback on Mac. With it, you can play Blu-ray/DVD disc/ISO/folders files directly on your Mac and all types of HD video files like HD MKV, HD WMV, HD FLV, HD AVI, etc. without any quality loss. All types of Blu-Ray Disc™ movies are supported benefit from its powerful Blu-Ray Disc™ decryption ability. What you need is just a compatible Blu-Ray Disc™ drive (USB2.0 or above) and an internet connection when you are loading the Blu-Ray Disc™. After that, you can enjoy the extreme HD experience on your Mac, HTPC, etc. The DTS 5.1 channel added for the BD player version 2 series make sure the perfect audio effect output of your Blu-ray movies. Other interesting and useful functions are also available with this media player Mac. The hardware acceleration is automatically switch on which can give you a smoothly Blu-ray playback without frames loss. The AirX option, similar to AirPlay, but can stream media files from computer to iPad/iPhone/iTouch. To use it, you should enable the option before playback, and then use the generated URL to enjoy the media with your device via a local Wi-Fi. Also a considerate socially sharing function, you can use it to share your movie collections and reviews directly with your friends on Facebook and Twitter. The tool is highly compatible with Mac OS X 10.5+ to 10.8 and can run on all types of Mac computer like iMac, Mac Pro, Mac mini, MacBook Air, Macbook Pro, etc. The AirX option is compatible with iPhone 3GS, 4, 4S, iPad 1, 2, new iPad, iTouch (ISO should be 3 or later). An internal or external Blu-ray drive with USB≥ 2.0 or FireWire≥ 400 is essential for your BD smoothly playing. what disney movie wz in the pic?????? Btw thanks been wondering how to play disney movies on my mac!